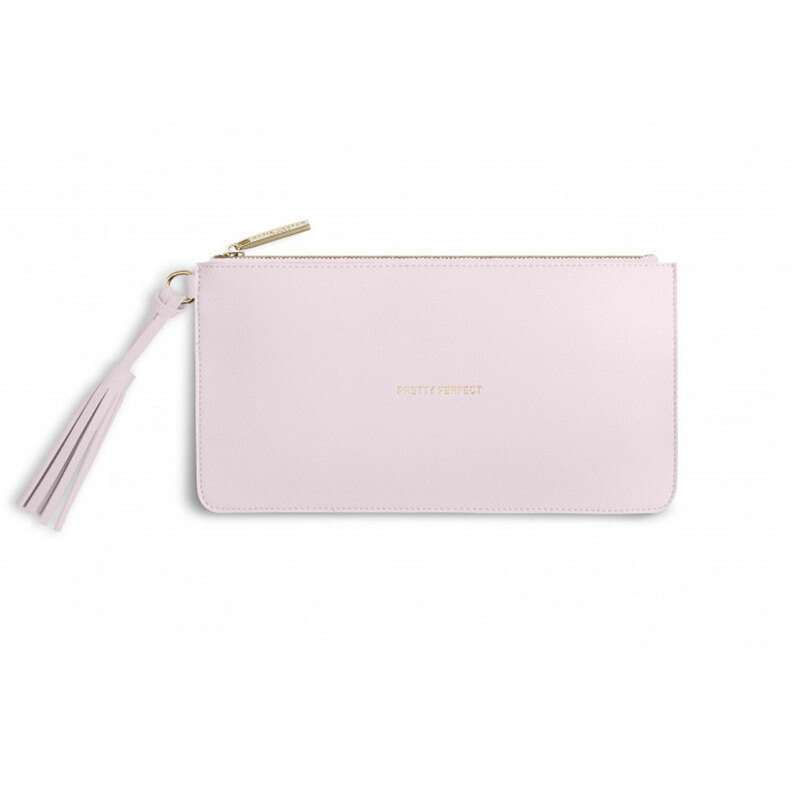 Katie Loxton Florrie Tassel Pouch Pretty Perfect Powder Pink, Introducing this seasons must-have clutch bag, this gorgeous new soft tassel finished clutch in powder pink, finished with sweet golden sentiment it’s the perfect reminder to be pretty in pink. Introducing this seasons must-have clutch bag, this gorgeous new soft tassel finished clutch in powder pink, finished with sweet golden sentiment it’s the perfect reminder to be pretty in pink. Katie Loxton bags from Lizzielane arrive to you wrapped in tissue paper and a branded white Katie Loxton gift bag with silver ribbon tie. 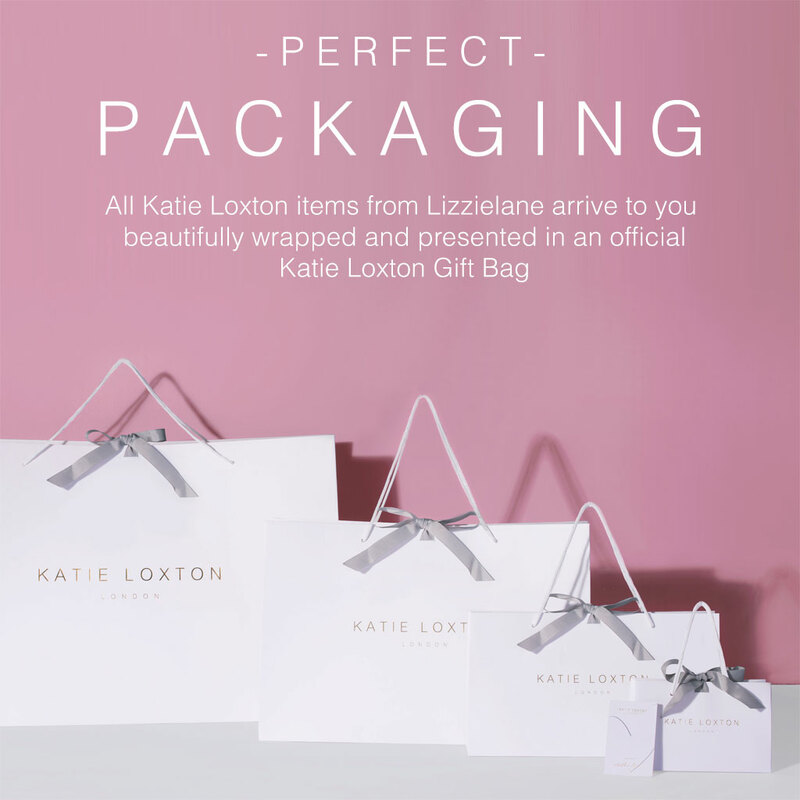 Free UK delivery with all our Katie Loxton orders. Lovely little bag however there was a dark slightly dirty mark on front. I have removed most of it with a baby wipe but can still slightly see it. I suppose I should have returned the item but had not checked it properly before disposing of packaging. Pleased with the actual bag as I have had one previously – I own quite a few Katie Loxton items. If you'd like to contact us, we'd be more than happy to resolve this for you. Katie Loxton, Katie Loxton Handbags and Travel Bags, Katie Loxton Perfect Pouches, Teachers' Gifts, Thank You Gifts, Accessories - Scarves Bags and Watches, Bags. Add elegance to any look with this stylish, Sence Copenhagen Silver Leaf Mother of Pearl Bracelet with Silver Cord. Feminine and chic, this opulent bracelet has everything you need this summer, boasting a distinctive leaf design, threaded on a soft, silver grey, cord bracelet and beautifully finished with a mother of pearl for subtle glamour. Add some colour to your look, with this gorgeous new pouch from Katie Loxton’s new collection. 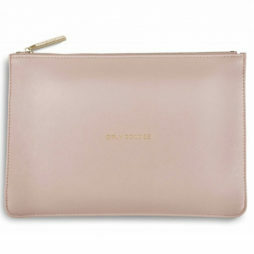 The blush finish on this clutch bag adds a touch of elegance to this popular pouch; etched on the front in gold are the words ‘girly goodies’ with a gold branded zip fastener and a soft grey fabric lining inside. 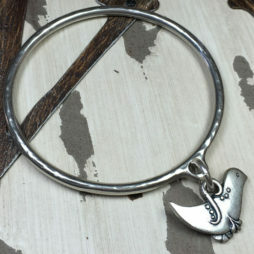 Love the bracelet! Very cute. A nice addition to my collection of the jewelleries by Hultquist-Copenhagen! I’m a big fan of Hultquist-Copenhagen jewellery and am very pleased to find your website, and I love the bracelet which I’ve just purchsed. 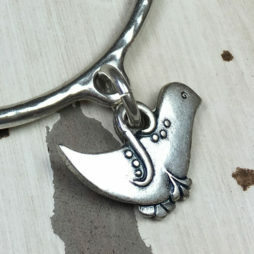 You have a very good selection of their jewellery. :-) But other brands you’ve got here are also looking fab! Have added you to my ‘favorites’:-) Thanks and see you soon!